Today’s homeowners want something different – a variety of choices and options that can distinguish their home apart from all the others. 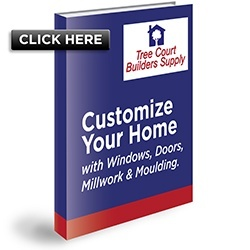 Tree Court Builders Supply sets the standard in design and manufacturing of premium, custom-crafted crown moulding, decorative base, and casing. With more than 500 distinctive design profiles and many wood varieties to choose from, we work hand in hand with contractors, home builders and residential homeowners to create a “one-of-a-kind” expression for the home that is truly unique. 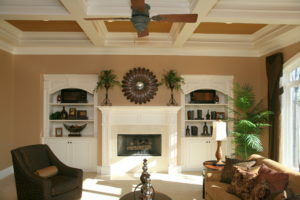 Our extensive selection of moulding and millwork is available for a variety of applications. 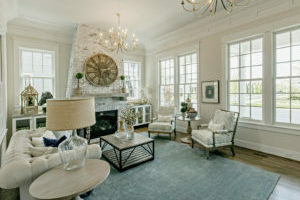 Select from stock or custom crown moulding, casing, baseboards, exterior moulding, columns, pilasters, and more. Check out our Specialty Millwork page for highly customized projects that include curved millwork, raised wall panel wall systems, fireplace mantels, specialty columns, pediment heads for doors and entryways, stair parts and handrails and more. Partners such as Koetter, HB&G and Fypon allow us to offer a full line of wood mouldings for all purposes giving the homeowner many choices. Proud of our own custom capabilities, we have been providing our customers with customized Tree Court branded millwork for over thirty years. Details do matter. 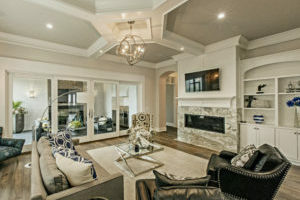 Whether you want to increase your home value, create a unique or complete a look, or to simply reduce finishing costs, mouldings offer you an ability to design and create the one-of-a-kind home you dream of. Check out RESOURCES for stock mouldings, window and base and case profiles.